At some point in every bodies they experience periods of stress, of course a little bit of stress in small dosages is vital, it can help us to get motivated, push us to pursue our goals, do new things and perform better, having said that it is absolute vital you keep your stress levels low and under your control. Some people experience far to much stress and tension in their lives, it can become out of control where it disrupts your quality of life on a daily basis, long term stress can also lead to serious emotional and physical related illnesses and problems. Chronic stress will block your creativity and your ability to think rationally and constructively, it causes frustration and irritability leaving you unable to perform and function efficiently, it can lead to work related issues, anger problems, tension in the body, anxiety and depression, not to mention the health risk. Those who have had a near deaf experience say that once they had left their physical body and transcended to the none physical realm all their fears, problems, stress and tension left them. Thousands of near deaf cases all reported that the felt a huge sense of emotional freedom where they only experienced sensations of pure love, peace and joy. But you don't have to wait until you pass on to experience those wonderful feelings of inner peace, calm, harmony, love and joy, you can reach those heightened levels of relaxation and peace of mind during your time on this physical reality. Far to many people just accept and put up with their negative emotions and stress, but you are in control of your own feelings and experiences, you have the freedom to decide and determine how you wish to think, feel and respond. You can return to that blissful state of inner calm and peace once you start to introduce some daily rituals into your life. Once you begin to learn how to quieten your forever racing mind and relax more you will start to take control of your feelings and emotions. When we are constantly in a state of stress and fear, adrenaline and the stress hormones cortisol is released into our blood stream and our body becomes pumped up and ready for action, but because the adrenaline and extra fuel does not get used up, this can lead to all sorts of health and emotional problems. You can compare stress to a car, the car functions more efficiently and the working parts last much longer when it is cruising at it's optimal performance levels. If your driving your car and you find yourself in trouble overtaking you can quickly speed up to avoid a dangerous situation. This will temporary put more strain on the engine and other components and you will require more fuel, but the revving up and the quick burst of acceleration is only for a short period and normally you would slow down and return to your cruising speed. If you constantly drove your vehicle to hard eventually something would give, the same analogy could be used with stress and the human body, a quick burst of stress to help you through a challenging situation is necessary, but if you get stuck in a state of stress for too long something will eventually give. By spending about twenty minutes a day relaxing you can calm the body and stop the access release of adrenaline and stress hormones, as soon as you begin to take the necessary measures needed to reduce your stress you will experience a much better quality of life. When you start to feel negative emotions its best to catch it in it's early stages before the emotion has to much time to gather negative momentum, this will stop the stress and tension from building up. If you learn how to catch it quickly it's much easier to deal with without too much effort, however if you have already allowed the negative emotion to gather to much pace then you have let it go to far. The best thing to do then is too listen to some deep forms of relaxation, go for a long walk or have an early night and start afresh in the morning. It's all about awareness, once you begin to notice the onset of the negative emotion you can quickly do something about it, such as distract yourself for a few minutes or just laugh at yourself. Emotions are the starting point of a physical reaction in the body, they build up through you, if you get too involved with the negative emotions and thoughts you will create physical symptoms of stress in your body. With practice and a bit of conscious focus you can just let the emotion travel up through you and let it pass, if the thoughts and emotions return keep repeating the process until you calm down, then seize that moment and change your focus of attention. Let yourself know it is no big deal and nothing bad is about to happen and these thoughts are not helpful to me. One of the best and arguably the best method for reducing your stress is self hypnosis, why hypnosis is so effective for lowering your stress levels is because when you use self hypnosis you have to enter a deep state of relaxation and altered awareness. This helps you on two accounts, first it takes you focus of attention off the thing or situation that is responsible for your stress and tension and secondly it will relax your mind and body helping you to switch off the supply of adrenalin and cortisol that has been fueling your unpleasant state and emotional arousal. The benefits of hypnosis does not end there, you can purchase tailor made hypnosis sessions that are specially formatted to target stress, but there are also many other different self hypnosis categories and because they all involve entering a state of deep relaxation they will all help you lower your stress levels regardless of their titles. It is a win win situation, because all good self hypnosis sessions are an excellent way of helping you to reduce your stress as well as aiding you in resolving any other emotional issues, bad habit personal development or just about anything else you want to change about your life. To start with it is wise to use a stress reducing hypnosis session, but after you have trained yourself to unwind and calm down, you can then move on to use other titles which are designed to improve other area's of your life. There are hypnosis sessions that can help you to manage your stress, stop you worrying and controlling your emotions as well as ones that can deal with the root causes of all your worries, stress and negative thoughts. When uses on a regular basis, self hypnosis can help you improve and reach your optimal state, mentally, spiritually, emotionally and physically. We all know the power of hypnosis. It can change your life in just a matter of minutes as well as deeply relaxing you at the same time. From public speaking to weight loss, business success to boosting your health. Hypnosis is powerful as well as stress reducing. But it can be expensive. 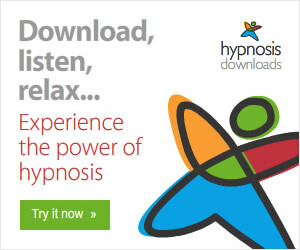 At the moment there is a special offer currently running at The Hypnosis Vault website. The Hypnosis Vault is a powerful library of hypnosis sessions, from world-famous hypnotist Randy Charac. Now, in case you don't know, Randy is the "hypnotist to the stars" - and his personal clients include John Travolta, Tony Curtis, Sean Penn, Bruce Allen and more. The Hypnosis Vault contains eighteen powerful sessions, hand-created by Randy - each guaranteed to change your life. Individually, they're priced at just $39.95. But during this month, Randy is offering the entire Hypnosis Vault library for the price of just one single downloadable session. We're talking 18 high quality hypnosis sessions - at a rock bottom price. Not only that, he'll ship everything to you on cd - no matter where you are in the world - at absolutely no extra cost! This is a very generous offer, if your interested in personal growth and stress relief then you might be interested in checking it out.